Updated Daily With the Newest Info on Hollyhood! 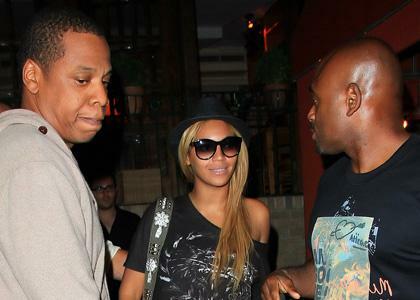 Treating his lady to a night on the town, Jay-Z stepped out with Beyonce Knowles for a romantic dinner at Pepolino Ristorante in New York City on Monday.The "99 Problems" hitmaker and his "Halo" singing bride chowed down on tasty Italian cuisine before being escorted outside to their awaiting ride.The relaxing dinner date comes just after Beyonce and Jay returned to their Big Apple abode following a weekend trip to Tennessee.The power couple visited the Volunteer state as Jay-Z was among the many performers taking part in the Bonnaroo Music and Arts Festival. "The Best Blog In The DMV"
Kimora Lee Simmon’s Baby Kenzo turns one!